On Sunday the 25th of August at the Zwartkops Karting track 11 teams will come together in aid of the Ann van Dyk Cheetah Centre. This will be the fifth race held and once again the field is full and the action will be as close as always! 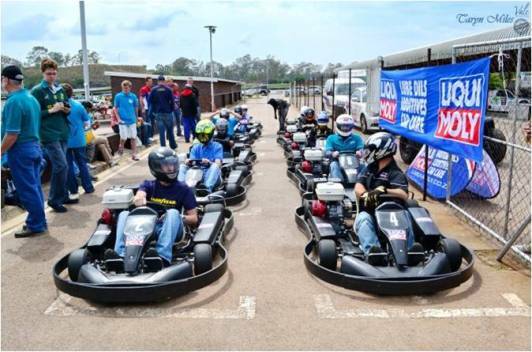 Teams entered this year include RAM, Veyance Technologies, current trophy holders Locost, Liqui-Moly, Honda SA, Bridgestone SA, Bridgestone Retail, TATA SA, a Land Rover/Jaguar team, Pets en Transit and a Cheetah Centre team sponsored by Max Challenge who run the Zwartkops Karting Circuit. 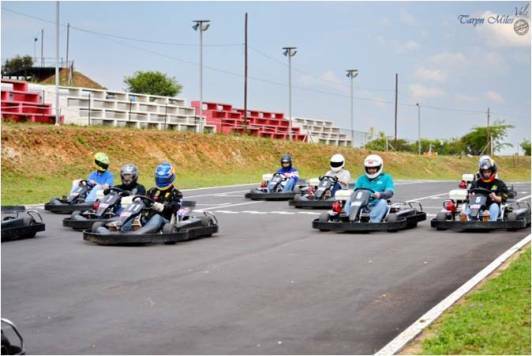 The race is a 2 hour endurance race from 10h00 till 12h00. The team who has completed the most laps at the end of the 2 hours , will be crowned the victors. The floating Cheetah Trophy has become a coveted item of late and Locost will be looking to retain it. This year we see the return of Xavier Gobille with his new team representing TATA SA who would be very eager to take the coveted trophy home on their maiden run. This year I have been asked to join in and bring my incredible speed to the challenge. Okay, my speed might only be incredible due to a lack thereof, but what I lack in speed Ill bring in enthusiasm. I will be joined on the day by Derek Alberts of male modeling / radio fame and Ryan Wallace, the main man behind the ever-growing sports blog The Pundits. And here is a challenge for the two other men, whoever is the slowest donates an additional sum of money to the Ann van Dyk Cheetah Centre. We all in? The event raises approximately R30,000.00 for the Centre each year. Byron the famous Ambassador Cheetah will once again be on hand to thank the competitors at the prize giving. We’re honoured and lucky to have the voice of Motorsport, Roger McCleery as our MC on the day. Event partners and sponsors on the day include SAF-FA Energy Drink, Kiehl’s South Africa and Vale Media & Marketing. PUMA South Africa and the Toyota Free State Cheetahs Rugby Team have donated a signed Cheetah Rugby Jersey to the winning team as a prize for the event and have also donated signed Jerseys to the Centre to show support for Cheetah Conservation. 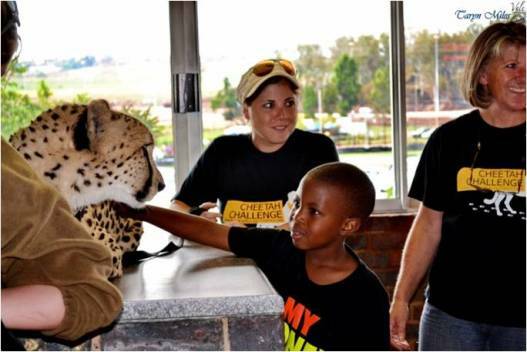 The event is hosted by Clare Vale Racing as the Ann van Dyk Cheetah Centre is the team’s charity affiliate. Clare has been an ambassador to the centre for over 5 years and the centre is very close to her entire team. This event has become a highlight of the team’s racing calendar. The event is open to public viewing so please feel free to join us on the day. For more information on the Cheetah Centre please visit www.dewildt.co.za and for more information on Clare Vale please visit www.clarevale.com. Well Tyron, Ryan of The Pundits is racing for our PETS EN TRANSIT team. Should be a great day of fun, racing, entertainment and all for a great cause. Hope to meet you on the day.